Eileen Atkins, Maggie Smith, Judi Dench, Joan Plowright meet regularly for tea. Roger Michell who directed NOTTING HILL convinced them to let him film them and answer questions about their lives. This is exactly what you think it is going to be. Four strong women taking nothing from no one and chatting about their achievements. Are there grand revelations? Nothing too earth shaking but for anyone who is a fan, of one or all of the ladies, its simply the chance to be in the company of some great actresses for a while. You will forgive me it's hard to really review this. Its a bit of fluff. Yes, it is informative but it's fluff. Never intended to be a grand career retrospective, simply the talk in an afternoon. The title infers that there is going to be limits so you can't get upset if it never goes too deep. Frankly I enjoyed it and recommend it. There is however one caveat. (At this is the point anyone connected with the PR firm or IFC should stop reading) My understanding is that this was put together as a TV special for the BBC. A friend saw it as such just as I was getting the promotional material for this. As much as I liked it I don't think there is really enough here to ask anyone to pay movie theater prices to see this on a big screen. I would have no problem with VOD but the increased theater costs is a bit much. 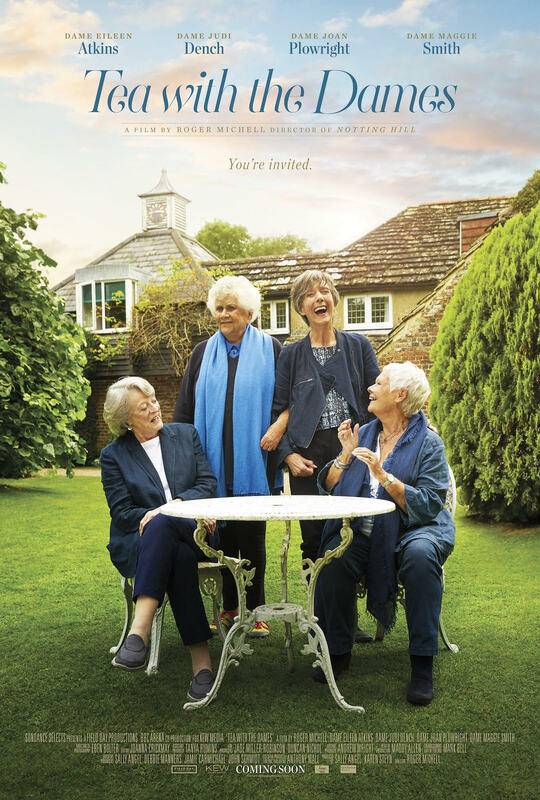 TEA WITH THE DAMES hit theaters tomorrow.